Contact Karen Kent directly for availability and set your appointment today! 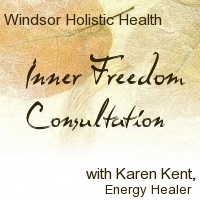 Private consultations offer you a personal exploration into what may be inhibiting you and limiting you and your life. Often, many clients don’t even know what it is. I hear many times ‘I don’t know what it is but something is right here in front of me that is blocking me and I can’t see it. But I know something is blocking me.’ Together we discover what that is so you can move past it and see the potential that awaits you. Clearing the blocks allows new doors and opportunities to open up for you. Order one session for 90 minutes and release what is holding you back!